Sometimes, it can be really hard to unplug everything you need to in order to be successful at beating your #OhmHour forecast and earning points. Maybe you’re away for the weekend and an #OhmHour is on its way before you’ll have time to get home and shut everything down. Or maybe you’re already super energy efficient and your forecast is low. Or maybe you have a physical disability than makes it hard to get around the house and reach those often hard-to-reach plugs behind dressers and water heaters. Whatever the reason, we’re here to help. The secret sauce for many OhmConnect users who crush their energy baselines is smart devices. Ok ... but what are those? Smart devices are things like smart thermostats and smart plugs — and they’re smart because they connect to your home’s internet and can be controlled from anywhere. Next, install your new smart thermostat or plug in your home and connect it to your OhmConnect account. So, what does this all mean for you? When the next #OhmHour comes your way, you won’t be running around turning things off around the house. Instead, things will turn off for you. And turn back on for you. And you’ll earn points and save energy without ever lifting a finger. If the first utility bill you get at the start of a new season gives you a shock, you may want to consider investing in a smart thermostat, which will not only let you you monitor and control your home’s temperature from your smartphone, PC or tablet—but can help reduce your energy bill too. That’s because these devices can monitor temperature and humidity inside and outside your home, your comings and goings, and tailor heating and cooling cycles accordingly. 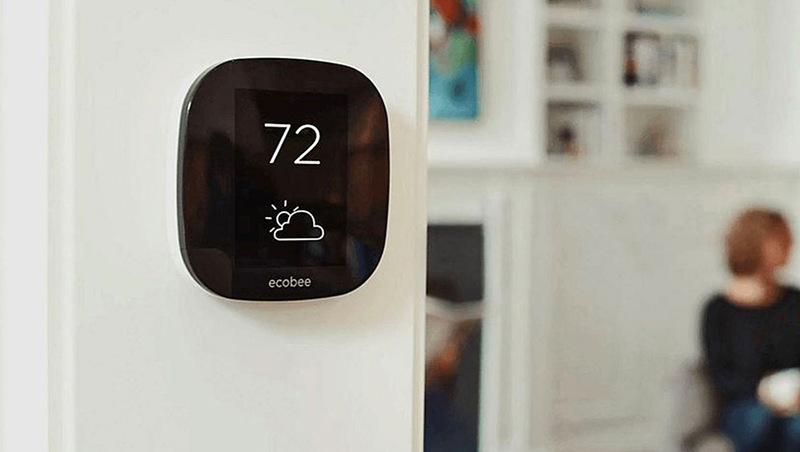 Tom’s Guide has broken down the best smart thermostats of 2018 (spoiler alert - he loves the ecobee model because it has sensors for all the rooms in your home) and if you’re keen, you can get a great discount on one in the OhmConnect store. The big smart thermostat manufacturers claim you can recoup the cost of a smart thermostat in as little as under two years. Coupled with rebates from your local utility company, that “break even” wait could be even shorter. Nest Labs did a study and released a white paper on their findings. It’s an interesting read, and the short of it is that they found a 10-12% savings on heating and 15% savings on cooling, or about $131-145 in savings a year. A Wi-Fi Smart Plug is a great way to jump start your connected home. It’s a simple-to-use device that you can plug into any open outlet, giving you control of whatever is plugged into it. With the TP-LINK Smart Plug with Energy Monitoring HS-110, you can easily turn devices on and off right from your phone or tablet, create simple schedules for your home’s devices, or connect the plug to OhmConnect so whatever is plugged in gets automatically shut off when an #OhmHour starts. “One thing I really like about the TP-LINK is that there is this subtle audible click when they turn off that is the reminder that there is an #OhmHour,” said Matt Duesterberg, CEO of OhmConnect. If you’re an avid reader of the Unplugged blog (thank you! ), you may have already seen the news. Since you’re an OhmConnect user, you can get 20% off the Welcome Home Pack as a thanks from OhmConnect for hooking it up. Wait - do I need to buy hardware to get paid for saving energy with OhmConnect? No. Most OhmConnect users choose to receive #OhmHours via text message or email. Some users with wifi thermostats or electric cars have connected their devices to OhmConnect to automate their participation, but that is not required. Want to get in on the smart home movement? We realized that we can help you save more energy automatically by providing high quality WiFi thermostats, electric car chargers, and smart plugs at very low cost. Check out the OhmConnect store for a great deal. Related Post: Where’s the best place to put my smartplug? Sophie Lubin is a Product Manager at OhmConnect. She focuses on improving the user experience, working to make the product more engaging and rewarding, and helping people love saving energy. Before joining the team, Sophie ran product and marketing at Scoot, an electric scooter company in San Francisco. Originally from Boston, Sophie has lived in the Bay Area for 7 years. She has a BA in Sustainable Development and English Literature from Columbia University.